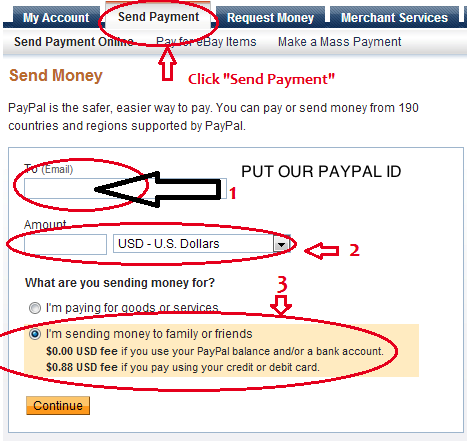 YOU CAN SEND MONEY BY FOLLOW BELOW GUIDE. - Login to your Paypal. - Choose I'm sending money to family or friend. PUT YOUR USER NAME (Login user not email) in Subject.